Last edited by benz_addict; 05-05-2011 at 05:01 PM. Anyone know if this part comes together with a new alternator? Had my alternator replaced about 20 thousand miles ago. I just replaced the alt and it is a biotch to get out of the car. I would certainly try the regulator first. Tese wrie-ups are priceless! nice wite up. so i changed my batterys , and tested the Alternator shows 14, voltes. and still only shows 11.5 volte to the battery in the boot. 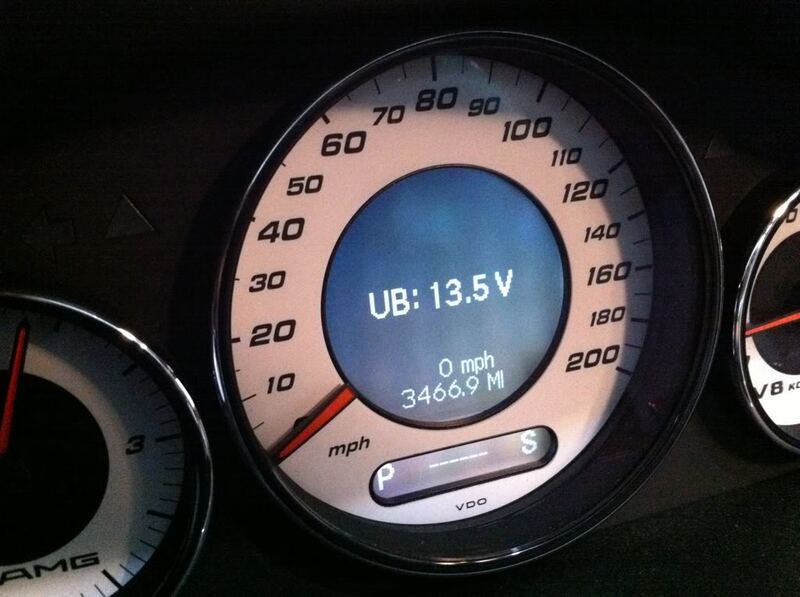 someone told me i need to reset the ecu.? im pulling my hair out. help. resetting ecu is a myth.. not necessary. That is weird, maybe BCM? well after weeks of driving myself mad. 2 new battery's , and 2 mb specalist later,, my family machanic fixed it.. the part i got was not a bosh part. and the ecu was not reading it and lowing the voltes to the batt..so it was either go to mb for recoding . or buy the bosh voltage regulator. i took the last option and its now working find.. so remember if you do change your voltage regulator make sure its the bosh mb one..
so remember if you do change your voltage regulator make sure its the bosh mb one..
correct! Once they get small enough, they don't make contact and you get the voltage errors! Loungn14, words can't describe how happy I am with you right now. I woke up this morning after months of the same freaking low voltage convenience feature message, shutting down my toys for no reason at all. Batteries good etc. Using google, I came across this thread, and after a few hours under my car, my problem has been solved. I did a motor swap on my CLS500 before the problems started. During the motor swap, I took off the alternator from the 500 motor and sent it out to Ohio Generator from extra juice. Well, that alternator was put in the 55 motor during the swap, and that's when things went down hill. After reading this thread i took off the voltage regulator from the original alternator that came with the motor and used it on the one from the 500 motor. Now, all is well. By the way, the two contacts on both regulators looked the same length. There may be internal damage of some kind on the one that I replaced. Imma bump this because i just installed my new regulator, after having my convenience features shutting down and headlights flickering on and off. The alternator was replaced September of 2010, so its fairly new. I installed the new VR and went to autozone to get the alt tested and they say the whole alt is junk, bad diodes or something. Im getting 14.1+ volts while driving, battery came back at 100% charge. How can my alt be bad if Im running good voltage and fully charged battery. I trust autozone employees as far as I can pick up and throw an E55. Get it checked out at a real shop, even if they charge ya a couple bucks to check it. I know here in Chicago there's a shop that rebuilds starters and alternators that is usually a much more reliable and cheaper alternative than say an autozone or other discount parts store rebuild. If it was a bad diode they could replace it for cheap. A new alternator for one of these is not cheap. i was running 14.1 volts on mine also but it still was the votlage regulator. i took it to and indy shop just to verify what my problem was. they wanted to charge me $477. to replace my regulator. I did it myself in about 20-30 mins for $66. The part number for the voltage regulator is 0031546506 . Autohaus has them for $49. Put that number in their search tool. If you just choose by year - make - model, they will send you the wrong one And since they ship free on orders over $50, add a few microfiber towels so you get the free shipping! why does it say huco? Huco is short for hunc-o-sh*t, a German brand made in India. Installed it my blue baby, problem solved. What does the blue wire connection do?/Where does it lead. My indy tested that wire and said hes not getting 12V out of it when the key is in position 2. The dealer tested alternator output and said its within range. Im having these stupid electrical issue and Im trying to figure out if that wire connection shorted or a fuse blew. Could a VR going bad cause my dome lights to dim? Hey guys, attempting to do this right now. Can't seem to get the cover off of the regulator. It's in a tough spot, and I've only been able to find 1 screw holding the cover on. Can someone tell me how many screws hold the cover on? I'm tempted to pry it off, but it seems pretty fragile. This is on an SL55, thanks in advance! !